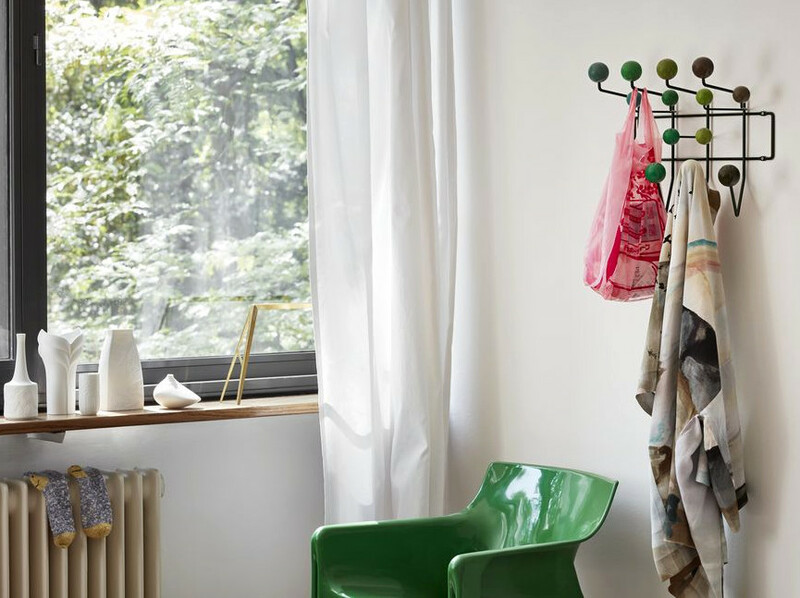 The Vitra Hang it all clothes rack - now an internationally recognized design classic - was originally designed by Charles and Ray Eames as a kids coat rack. 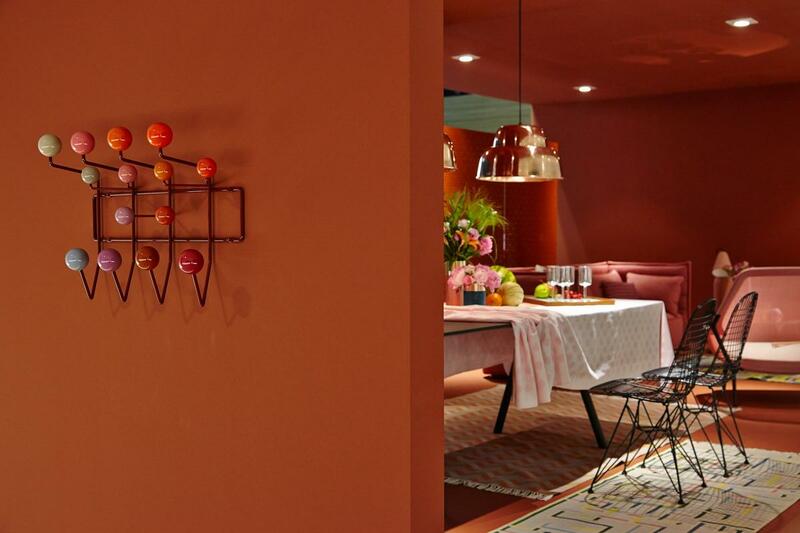 With its distinctive, brightly coloured painted balls mounted on a steel wire frame, the Vitra Hang it all reminds of the vitality of a game of marbles. 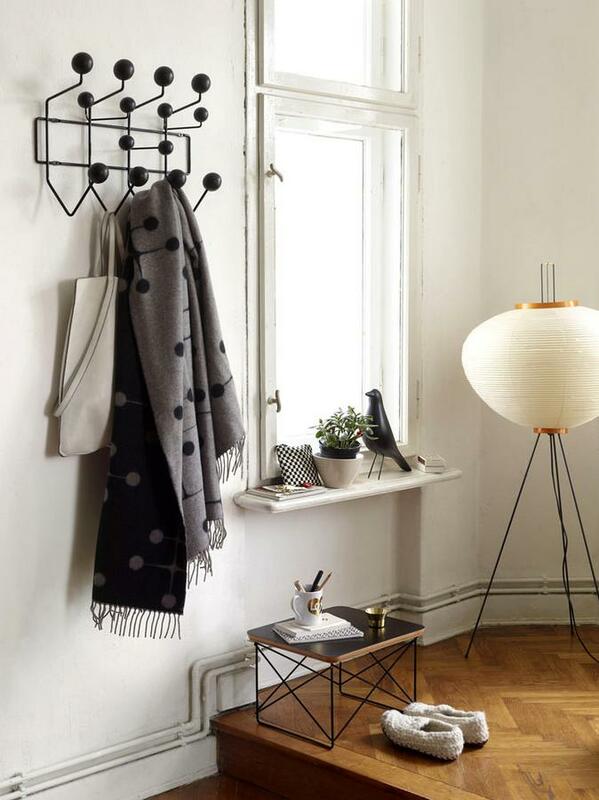 yet despite its frivolity the arrangement of the balls follows a very strict principle, thus allowing the Eames Hang it all to be used in combination and create extended hanging systems without losing any of its formal balance. In two new, darker colours the Hang it all now also sets accents in rather dignified interiors. 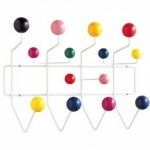 Is the Eames Hang it all available in other colours? 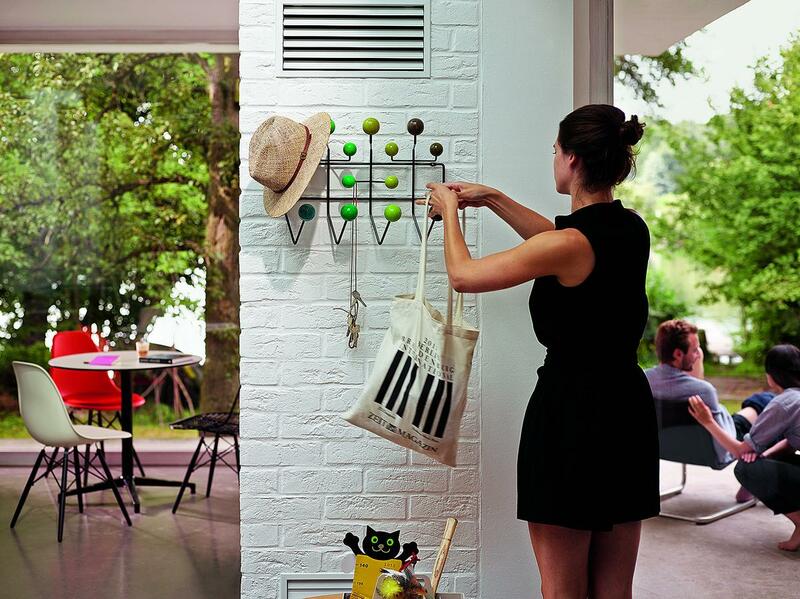 The Eames Hang it all is produced by Vitra in various special limited editions, all of which can be found in the smow shop. Is it possible to unscrew the balls? No. The balls are tightly fixed to the frame. 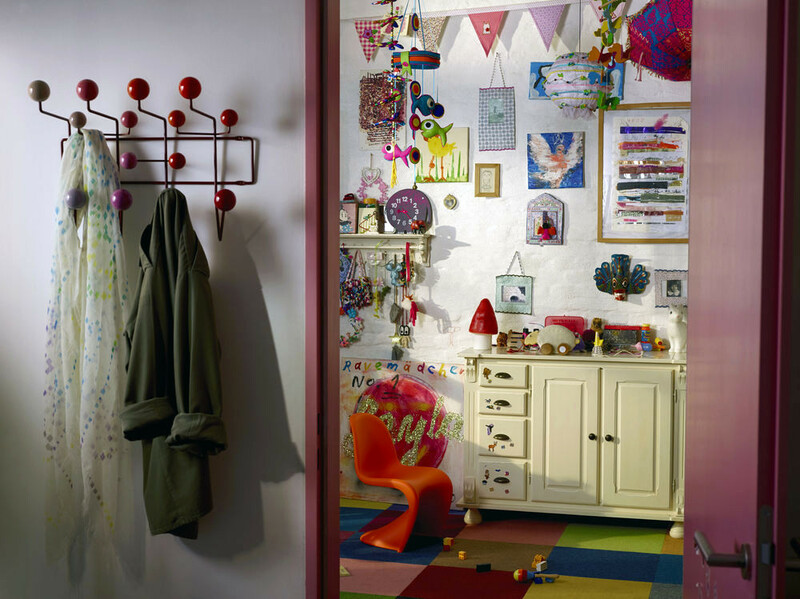 The designer of the clothes rack Hang it all, Ray and Charles Eames, are renowned for their playful use of objects and spaces. In keeping with their motto "take your pleasure seriously" they understood the importance of play in helping transporting ideas and concepts to young children: something that is and was possible on account of children's perception and natural curiosity. This understanding is seen not only in the Eames' toy designs, such as the Eames Elephant, but is also an important part of the Hang it all wardrobe design. 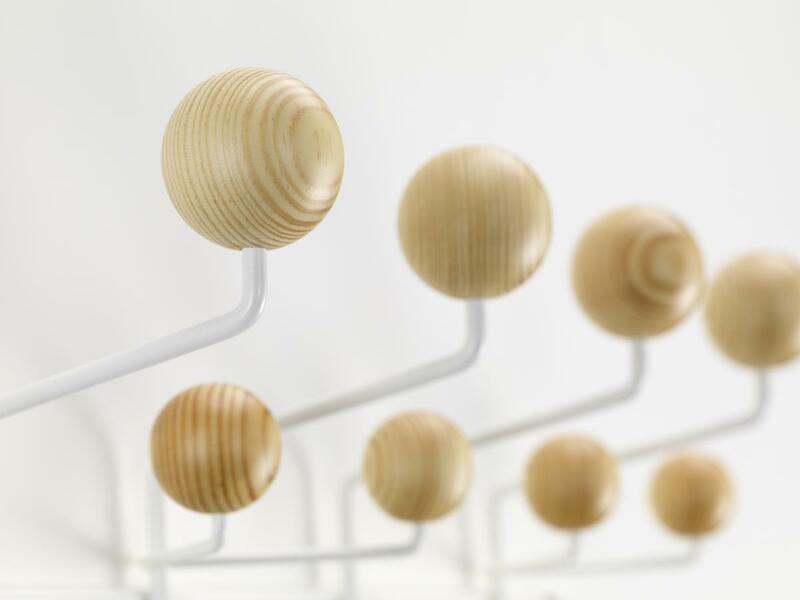 Originating from 1953 the classic Hang it all comprises a white-coated steel wire frame to which are attached wooden balls in differing sizes and colours: all very reminiscent of the vitality of a game of marbles. 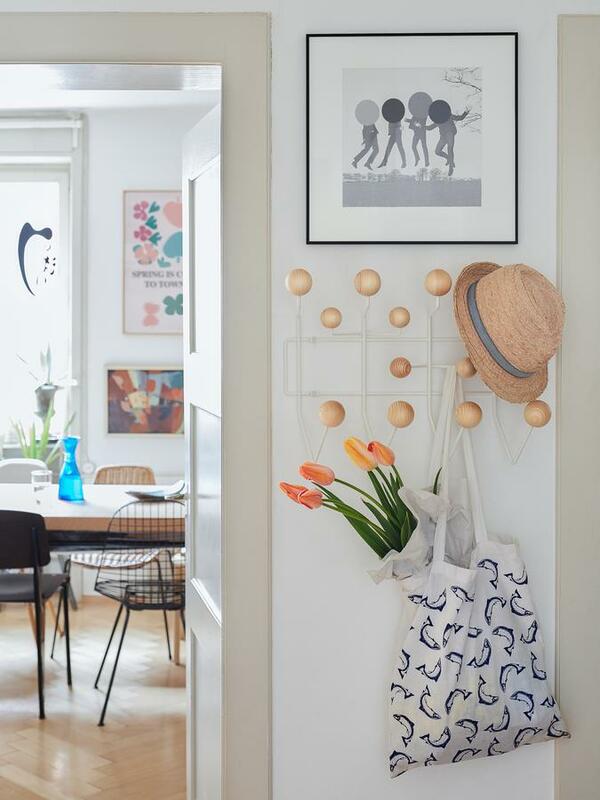 The design of the Eames clothes rack means that several Hang it alls can be placed next to each other thus creating a hanging system for any and every space. 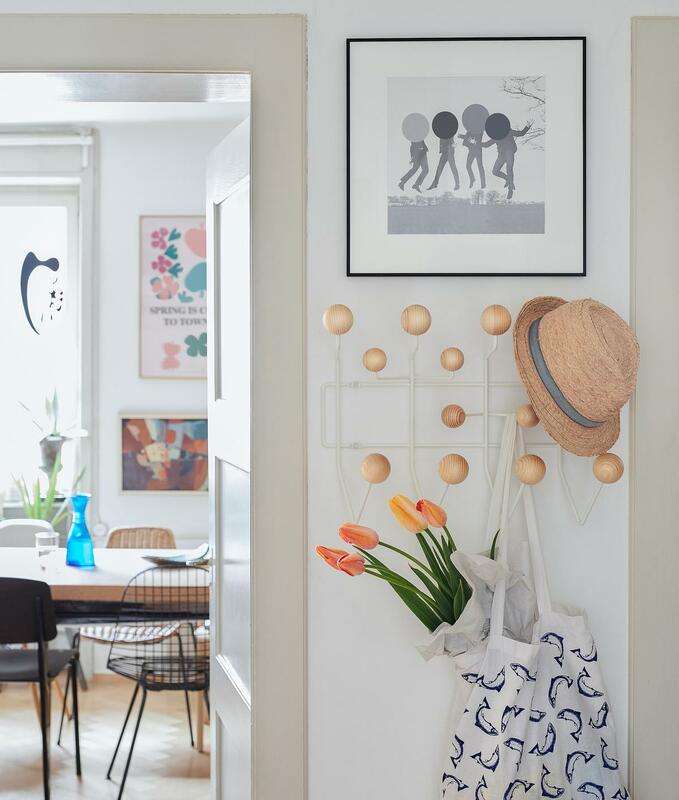 Emancipated from its origins as a children's product the Eames Hang it all is now a firmly established design classic, and a wonderful reminder of how serious play can be! 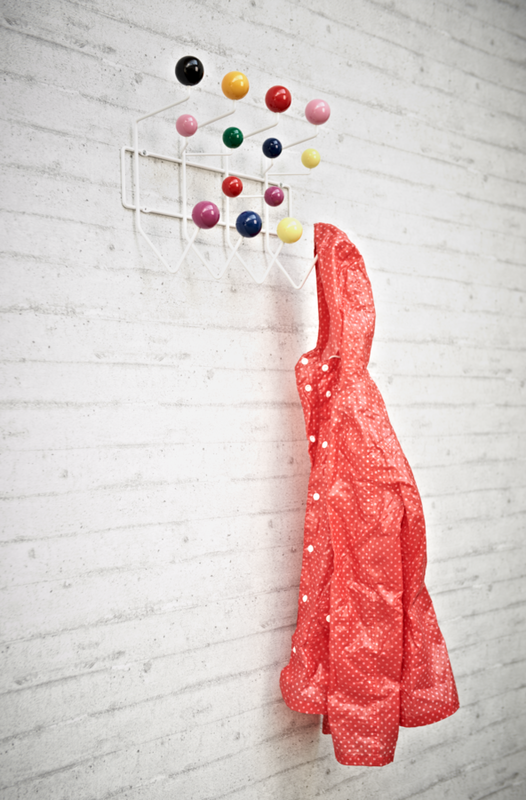 The rights to manufacture the original Eames Hang it all lie with the German-Swiss company Vitra. 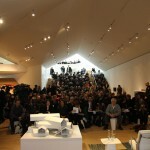 As with all Vitra designer furniture sustainability pays a central role in production decisions. 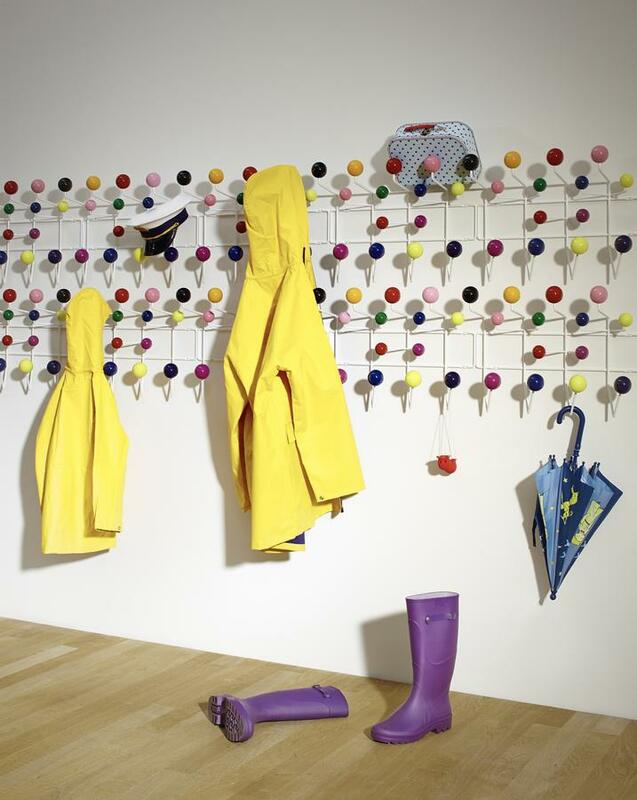 In the case of the Vitra coat rack the most important contribution to the sustainability is the design itself; Charles and Ray Eames commitment to quality and aesthetics resulting in a product with an inherent longevity ensuring a product that can be enjoyed by many generations. 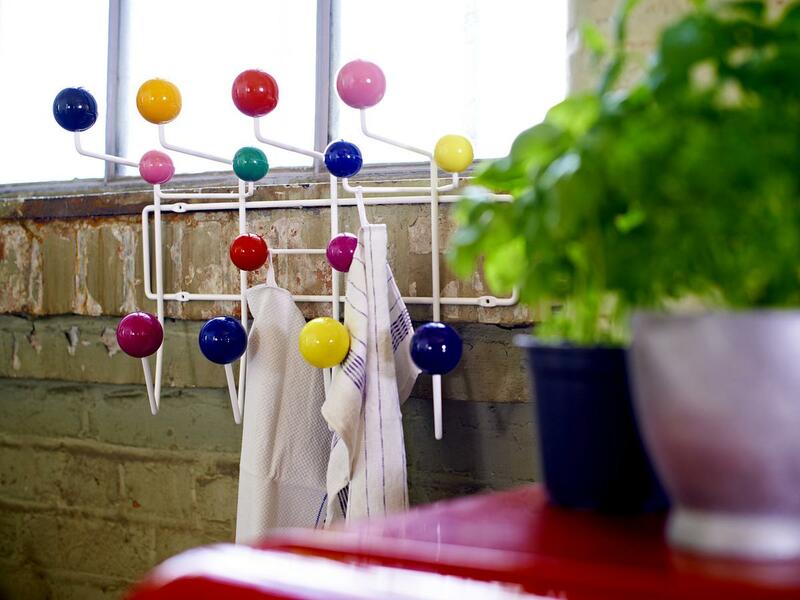 The Hang it all clothes rack is not only manufactured by Vitra in the original white coated steel wire with multi-coloured version but also in three limited special toned editions: reds, blues and greens. 1940's America and Europe were defined by memories of World War II and the tensions of the Cold War. Against this background of political and social uncertainty Charles and Ray Eames began their creative journey in Los Angeles. In the United States complex social upheavals accompanied by changes in values, principles, consumption patterns and the development of pop culture and new techniques defined the daily reality. Reflecting the unashamedly colourful visual arts of 1950s America the Hang it all design is consistent the mood of this era and a desire to move forward, away from the tensions and conflict to a brighter new future. Designed to allow the user to place several Hang it all units next to one another the Eames Hang it all also reflects the necessary flexibility and functionality which the period demanded. 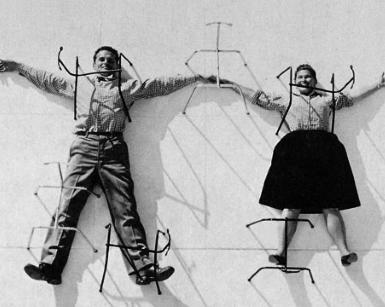 As the Eames were designing their Hang it all clothes rack Erika and Willi Fehlbaum had just encountered chairs by the designer pair and had spontaneously asked the objects manufacturer Herman Miller if it would be possible for their small company in Basel to produce the works in and for Europe. Herman Miller agreed and since the mid-1950s Vitra have been the sole producer of original Eames designs in Europe. Following the start of production through Vitra the Fehlbaums and the Eames developed a close personal relationship, so much so that upon Ray Eames' death the Eames archive passed to Vitra. In addition to producing the established Eames design classics Vitra also produce regular limited editions of Eames designs, always in close collaboration with the Eames estate and always true to the love and ideals that Charles and Ray Eames packed into their original design. 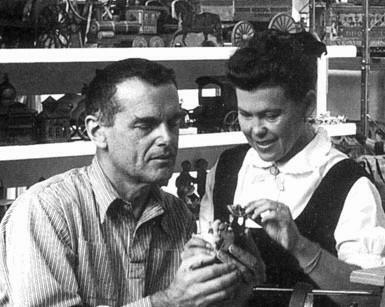 From their very first designs in the 1940s until the end of their careers some three decades later the designers Charles and Ray Eames created classics of modern design history: be it in the fields of architecture, graphics, films, photos, or their numerous designs for textiles and toys. Born in 1912 in Sacramento, California as Bernice Ray Kaiser, the designer studied painting with the German abstractionist Hans Hofmann in New York prior to their meeting with Charles Eames. Charles himself had initially studied engineering, drawing and architecture before moving to the Cranbrook Academy of Art. Ray's creative talents and Charles' conceptual vision, meeting in perfect harmony. 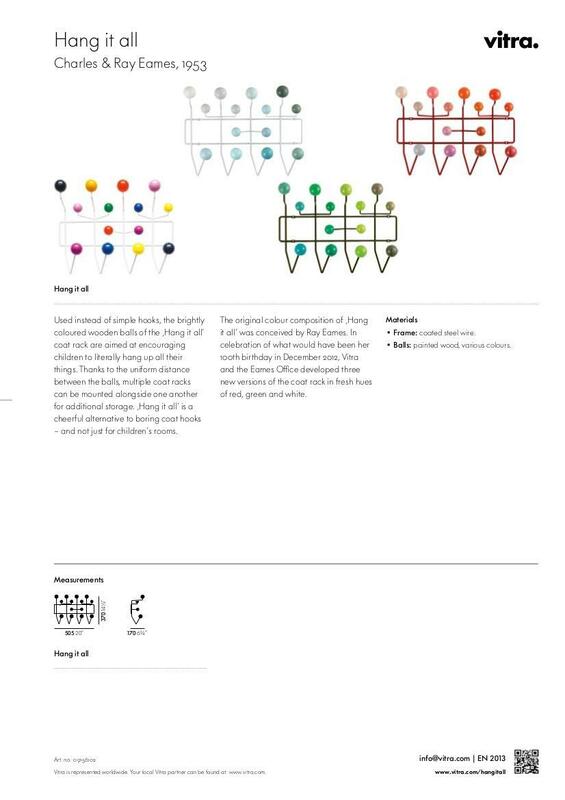 The design of the Hang it all clothes rack, for example, exemplifies Rays artistic conception - its graphical abstract focus reminiscent in its use of colour to her early paintings - while the creative construction of the frame reflects Charles Eames` architectural background. In 1941, a year after they met Ray and Charles Eames married before establishing the Eames Studio in Venice, Los Angeles in 1943. 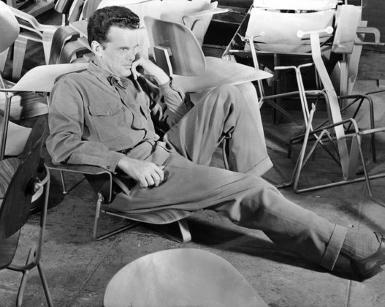 One day after Charles Eames death in 1977 Ray Eames closed the Eames Studio, and so one of the most important chapters in the history of post war design.